Pantoskop N°5 has rotating diaphragms marked from 48 to 768 of the Stolze scale. f/22 F:3.8 cm., front lens 2.42 cm. and the Pantoskop N°6, f/22, F:37 cm., front lens 5.9 cm. Height: 7.8 cm..
Pantoskop N°4; f/22 F:17 cm. 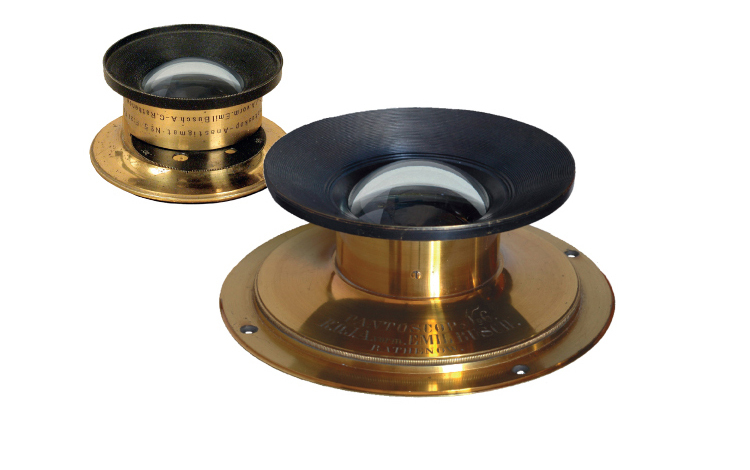 ; front lens: 2.6 cm. 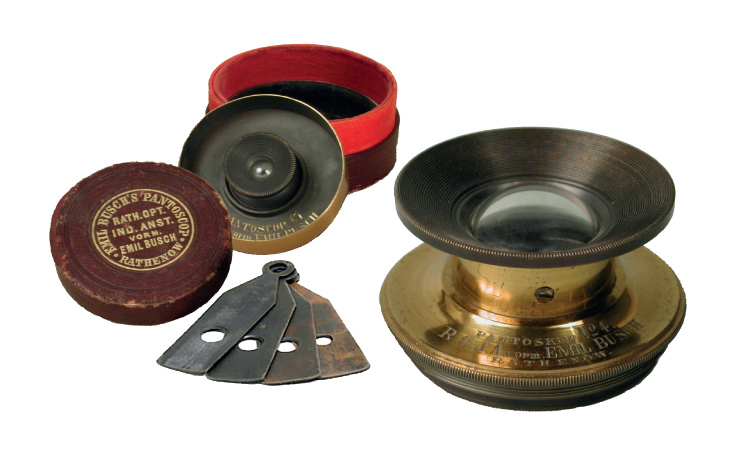 In the center, Pantoskop N°1; f/22 F: 5.2 cm. ; front lens: 0.8 cm. 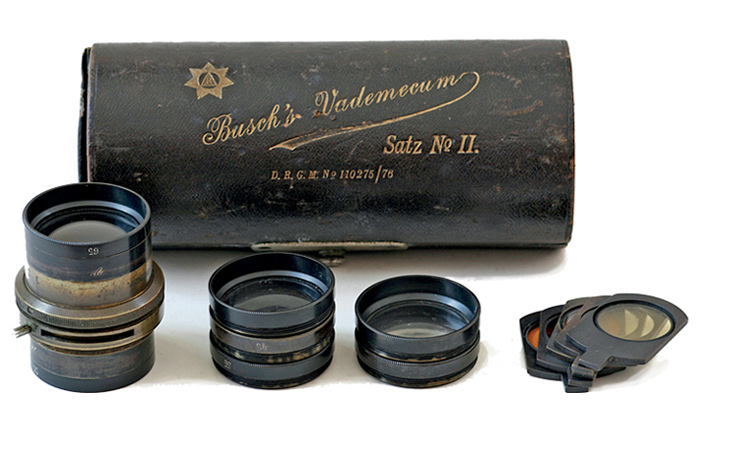 In the Satz N. II, for example, seven numbered groups were provided, 15, 25, 35, 45, 55, 65 and 75, with two extension rings and five colored filters, along with the barrel with the iris diaphragm. (7) R. J.W. Fowler. Brit. Jour. 1867, XIV, 366. (12 ) Cassell's Cyclopaedia of Photography, New York: Arno Press, 1974, pp. 390-391. (13) Encyclopedia of Nineteenth-Century Photography, Vol. I New York: Routledge/Taylor & Francis Group LLC, 2008, pp. 231-232. (15) Grabenhorst Carsten. Voigtländer & Sohn. Appelhans Verlag, Braunschweig, 2002. pp. 56-57.